This month we officially launch our new, revised camera messenger bags. We launched our initial range of camera messenger bags in 2016 to rave reviews. 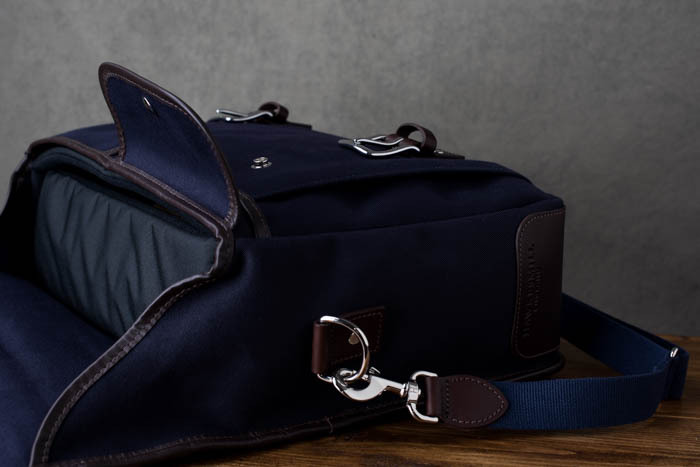 With many of the world’s leading photography websites hailing them as the finest camera messenger bags available today. However, in true Hawkesmill style, we didn’t rest on our laurels. We listened to all of the user feedback we received and spent the next 2 years trying, testing, revising, then trying and testing some more. Until finally, we had a camera messenger bag that fit a multitude of photographers, not just a select few. On several occasions we heard from our users and reviewers that they loved our bags, but felt we could reduce the weight a bit. Well, we did that, by more than 1lb. We also didn’t want to pigeonhole our camera messenger bags, as simply, messenger bags. So we incorporated a shoulder strap that could loop through three d-rings on the rear of the bag, to produce a bag that is backpack convertible. So whether you use this as a camera bag, work bag, overnight bag, or carry-on, you will stay comfortable all day. 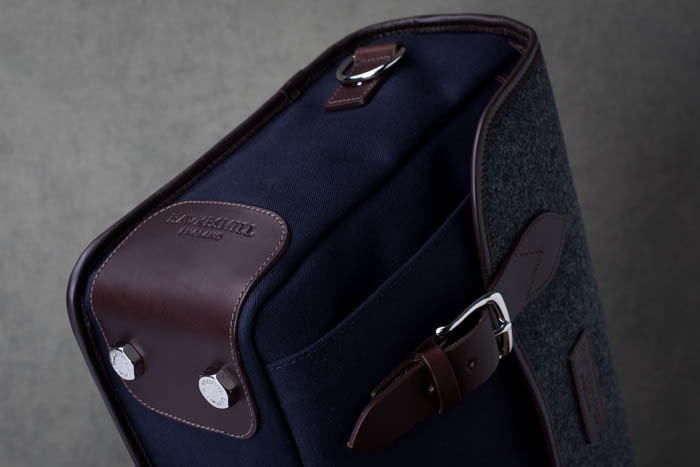 An additional shoulder pad was added to increase comfort when the bag is made into a backpack. 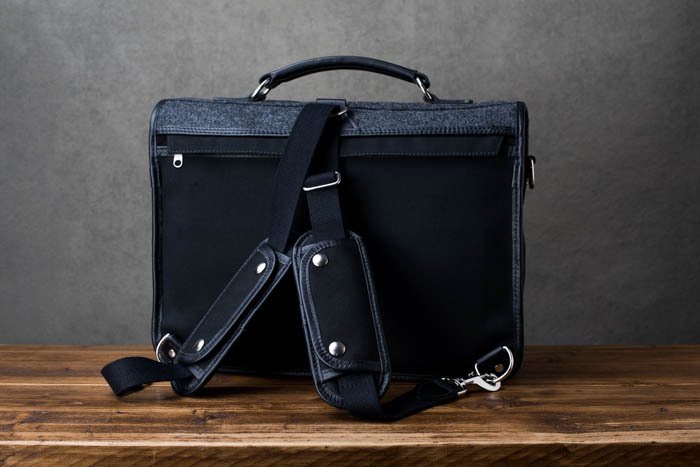 Developing a camera bag that is stylish as well as functional is not an easy task. Our original range of camera messenger bags had deep, flat pockets, which we loved the look of. And so did our customers. However, we understood the needs of some photographers to carry more than our prior camera messenger bags would allow. The use of our turn lock on the front of the bag, made it impossible to add larger, pleated pockets. Getting rid of the turn lock, although sad, made larger pockets possible. Those pockets are pleated and have heavy gauge pop closures to keep your gear secure. While we changed some of the functionality of our popular camera messenger bags, one thing we did not do is radically change the style of the bags. We have kept our unique leather corners, branded feet, etc. 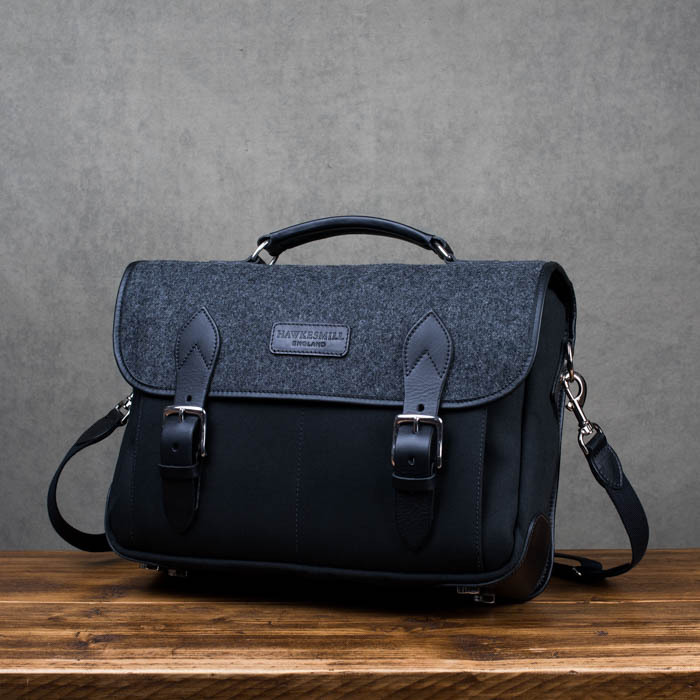 Hawkesmill has gained a reputation as being one of the most stylish camera bags manufactures around. And we want to continue that going forward in all products we develop. The camera bag and accessories industry is a very fickle and changeable industry. However, we have kept our designs simple and our ethos hasn’t changed since we began this journey. 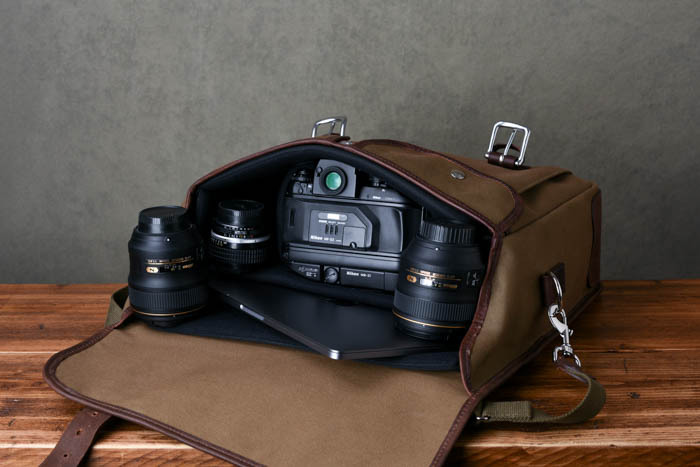 We endeavor to create the finest camera bags and camera straps possible. Our revised camera messenger bags are a testament to that. We continue to use the finest materials in the world. 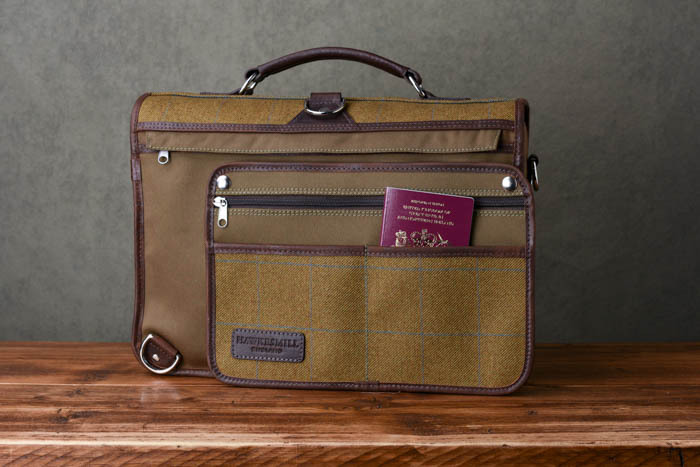 And the bags, like all of our products are handmade in England by skilled artisans. • Lighter by more than 1lb. • Fully backpack convertible to relieve strain on the shoulders when fully loaded. • Revised to have larger, pleated pockets that expand when needed. • Heavy duty pop closures on all pockets. 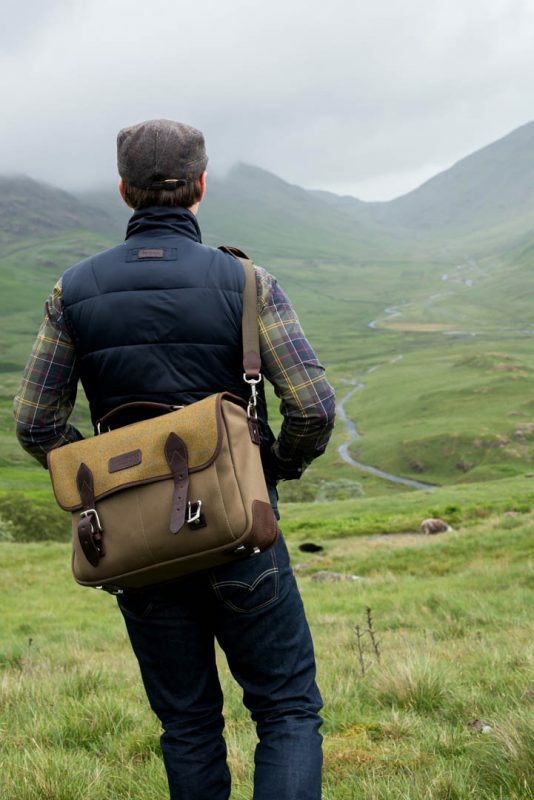 If you have any questions about our new range of camera messenger bags, please don’t hesitate to get in touch. We love hearing from you. This entry was posted in Camera Bags, News and tagged Camera Messenger Bag, handmade, Made in England. 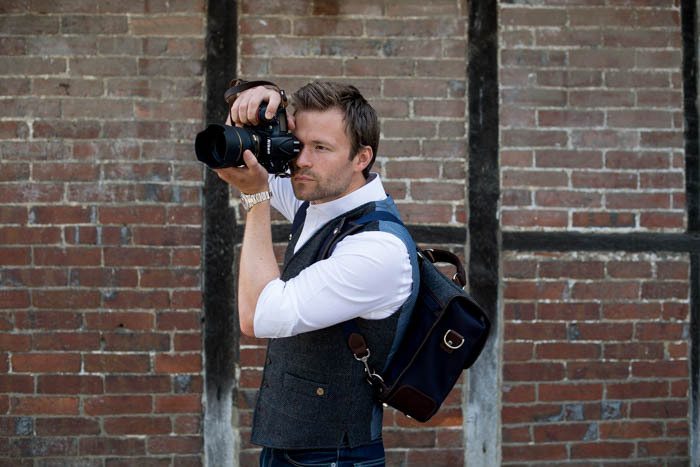 Makers of stylish camera bags, leather camera straps and camera accessories. Handmade in England.